To make a European mount, stewing is the most common method. 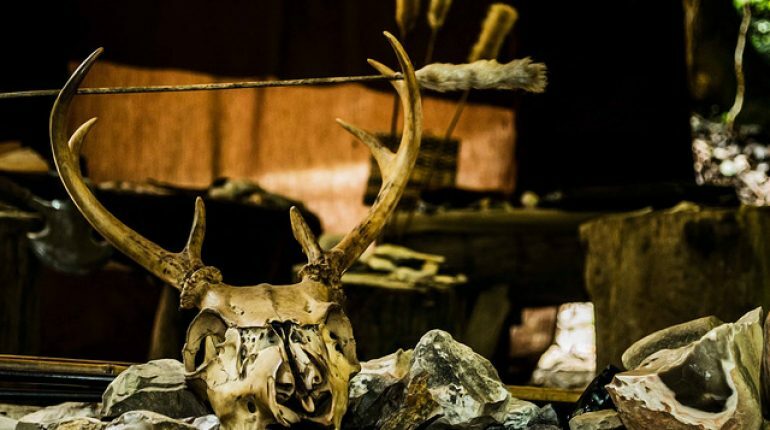 But there is one wonder: how long does it take to boil a deer skull? With the big size of the head, people are afraid of wasting energy and time. Is it worth doing manually or use another method, or just go to the shop and buy some? We can answer that stewing a deer skull takes a lot of time, though, it worths trying. Because it’s more interesting and satisfying. It can be later a record for your achievements. You did everything by yourself, from killing the deer to making the souvenir. You can brag about those great things when showing it off with your friends. To make you have a clear look at the process, we make this guide. Through it, you will know that boiling a deer skull is a good decision regardless how long and hard it is. What do we stew a deer skull for? How do we boil a deer skull? A European mount has many uses. Most people hang it on the wall as a decoration in their house. It is the symbol of power and wealthy. But if you’re hunters, you will want to keep the buck skulls as medals. As said, they will show your achievements and your strength. Also, it proves that human can win against the strong wild beasts out there. Making a skull mount can also help your finance. If your skulls are from the largest and strongest bucks in the forest, there’ll be many offers for them. Or if you are skillful and can create beautiful European mounts, you can also sell them. 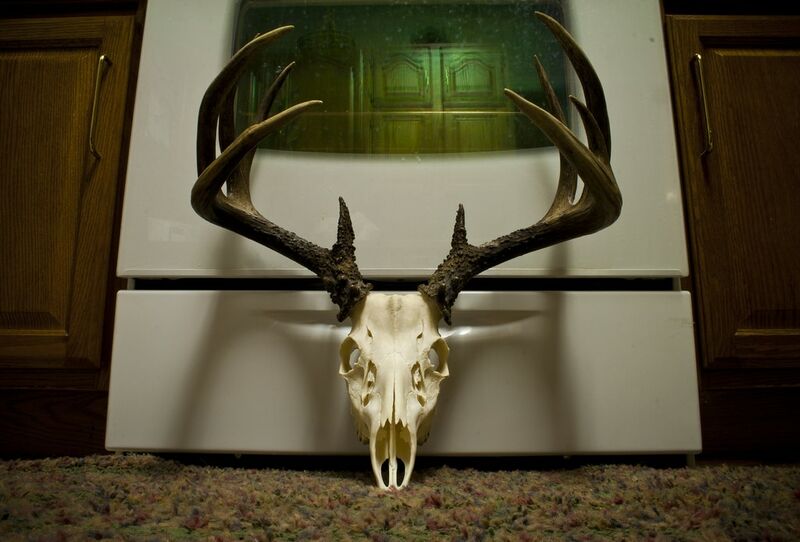 They can be from collectors, other hunters or anyone that is interested in deer skulls. You’ll have more income to support your hunting job. Before starting to stew, of course, you need a deer skull. You must have a head of your hunted buck, then you can start removing meat from it. People often ask about how long it takes to boil a deer skull, but the entire process also contains this meat-cutting step. You have to use knives and pliers to get rid of as much meat as possible. Otherwise, your mount will stink and provoke maggots or something like that. Often, you can only clear the meat which you can see. But it isn’t the whole of them. There are lots of enemies that stay in unreachable gaps, or even inside of the bone’s spaces. Also, the fresh meat is sticky, the link between them and the skull is durable. It isn’t easy to cut if off. Just do the best you can and come to the next step. Now you can start to stew your skull. This is a longest and hardest fight in our adventure which discourages many hunters. But be patient and everything will be more exciting and better. You need a large pot to for the cook. Choose the one which can fit the size of the skull. Pour water into the pot, but keep it at a decent level. Make sure that water doesn’t touch the antlers when putting the head in. Otherwise, your valuable antlers will lose its natural color, and your mount is over. Put in the detergent agent to degrease the skull during the boiling. Next, submerge the skull in the water. Remember to wrap the antlers to protect them. Then, turn the fire on and start the simmering. You should use a medium level of heat to cook the deer skull. The high temperature will do nothing but destroy it. Bones will fall apart and the vulnerable parts like cartilage will dissolve into the water. To make a European mount, you can only cook it with warmth and patience. Now, it’s time to answer our most mysterial question: how long does it take to boil a deer skull? What you do is to simmer the skull, so it’ll require a lot of time indeed. Often, you need to stay next to the pot for many hours. Sometimes, you’ll have to spend a day long to complete the process. Why making a European in this way cost so much time? Because it’s actually the cooking of the meat. The meat of an adult buck takes so long to cook, but when it’s stewed, it’ll break the steady link with the bones. So, it’s easier to cut it away than before. Also, an amount of these fleshy parts will fall off because of boiled water. Every hour, you have to perform the cleaning again. Take the skull out of the pot, then use pliers or chopsticks to remove remaining meat. If the water turns gray, replace it. The grease that leaks from the skull can be re-absorb, which not good for your result mount. Repeat the process of simmering and cleaning until there is a little meat left. Then, you can turn off the stove and begin decorating your European mount. Before painting the deer skull, you can also wash it again with soap water. Water can reach the smallest spaces between and inside the bones. Pump water into the skull to wipe out those pieces of stubborn meat. Besides, soap can remove the grease that left in it. 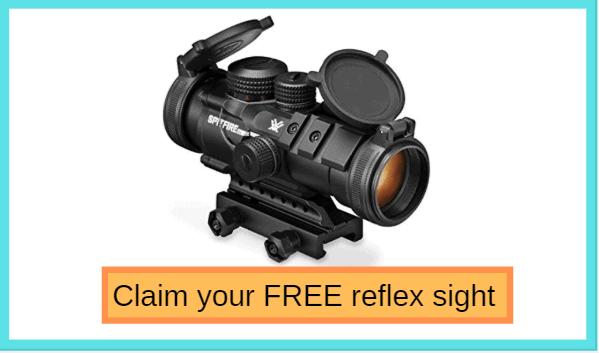 Just a little action and you’ll get a clean and beautiful mount. The last step is to paint the skull and make a board to hang it on. You can choose what color you want. Remember to wrap the antlers to avoid losing its natural color. About the board, it can be wood or metal, but a piece of wood will be more suitable for the natural antlers. Simmering isn’t the only choice for making a European mount. If boiling a deer skull takes so long and you can afford these amount of free time, you apply another method. You can borrow the power of nature, the beetle, to clean the skull before decorating it. Dermestid beetles can help you cut away any excess single piece of meat. You’ll have to do nothing, just wait for the complete deer skull. It’s quite time-consuming to make a European mount by simmering. You can’t answer the question how long it takes to boil a deer skull right away. You many need many hours or even a day. But if it records your achievements and excites you, your efforts won’t be meaningless.